Valleyfield Vineyard is reasonably new on the market with producing premium Tasmanian Wine. The client was very specific about the style of website they required and provided many examples. 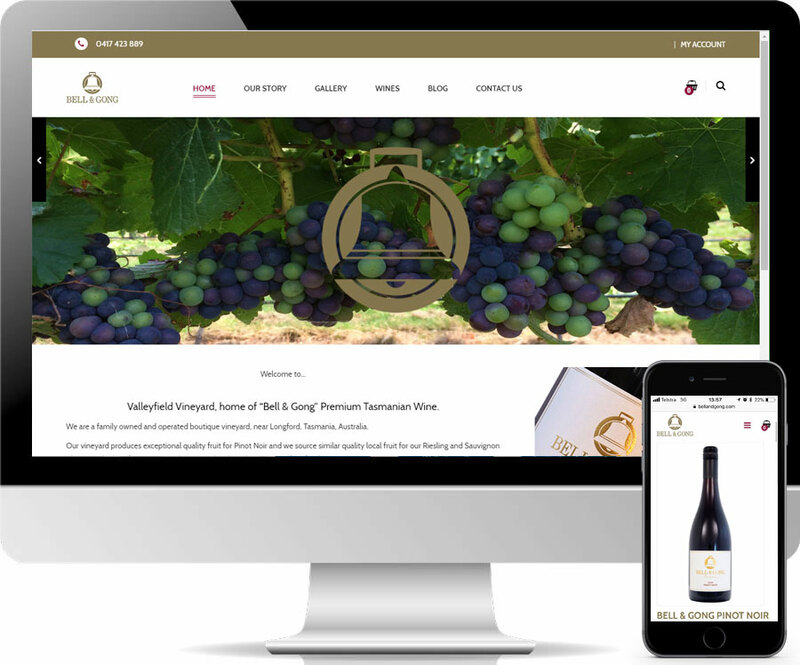 We designed a site that not only takes in the rich heritage of the Valleyfield estate but provides the visitor a genuine feeling towards the quality of the Bell&Gong wine range with an easy to navigate, elegant web experience. Visitors are able to purchase the wine directly from the online store or find contact details and directions to experience the Valleyfield Vineyard cellar door tastings at Longford. As with all Zade websites, all pages are optimised for SEO and mobile responsive.